Professional home inspections are a vital part of buying a home. Tony Clarke, Managing Director of the Rawson Property Group, shares his tips on spotting potential problems. These DIY checks are just the first step of the process, and should always be followed by a professional inspection – even of you don’t find any red flags. According to Clarke, ceilings give great clues to the condition of a property. Stains or sagging suggest past or present leaks from the roof, geyser or water pipes, and mould is a good indicator of poor ventilation or potential damp problems. Dark marks around light fittings could also be a sign of electrical problems, and smoke-stains near a fireplace are a sure sign that the chimney doesn’t draw properly. Damp walls are often chalky, mouldy, or show bubbling or flaking paint close to the source of the problem – usually within 1m of the floor or up at ceiling level. lf a home has been recently painted, however, it might be difficult to see these symptoms. ln this case, Clarke recommends running a hand over the walls to feel for any telltale “cold spots” and being aware of any damp musty smells. Testing taps and toilets is a good start, but to detect less noticeable leaks, Clarke recommends inspecting floors, countertops and splashbacks for damage, as well as the inside of any vanities or under-sink cupboards. “It’s also important to check the walls that back onto showers and baths for any signs of moisture. lf the paint is flaking, or there are stains or cold spots, it could mean hidden pipe leaks or poor waterproofing,” he says. “Windows and doors are good indicators of how well a property has been maintained,” says Clarke, “particularly if they are wooden and need a bit of extra care.” Clarke recommends paying attention to all inside and outside doors and windows. Making sure they open, close and lock properly, and that their paint or varnish is in reasonable condition. Sliding doors should move smoothly and seal tightly against drafts and wind. Cracked or shabby plaster and paintwork isn’t necessarily a sign of serious underlying defects, but it can be expensive to fix as a new homeowner nonetheless. Clarke suggests taking note of the condition of the paintwork and factoring the cost of any maintenance into your purchase decision. 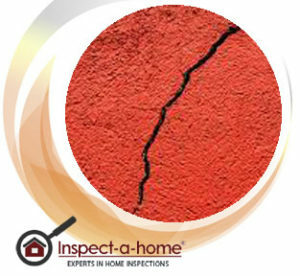 While most homes have at least one or two hairline plaster cracks, larger cracks can indicate a serious structural problem. “As a rule of thumb, anything smaller than 2mm in width is normally just cosmetic,’ says Clarke, “but cracks wider than that are a warning sign that should definitely be inspected by a professional. 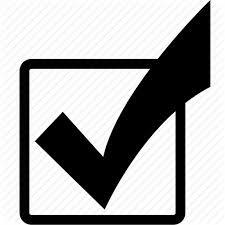 Plumbing and electrical items are best inspected by a professional, but Clarke still recommends testing light switches, toilets and taps to make sure everything is nominally working. “Pipes and wiring are beyond most of us, but anyone can test dimmers, switches and water pressure,” he says. Listen out for strange noises and take note of any obvious faults.” “Remember, no property is perfect, so don’t let a few minor faults put you off,” says Clarke. “lf you find a place that feels like home and doesn’t ring any major warning bells, go ahead and get a professional inspection done. That way, if you do choose to make an offer, you can do so with confidence and peace of mind.